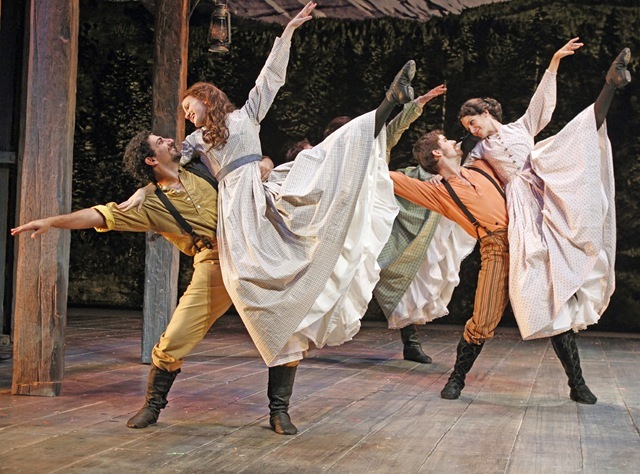 At its core, Fiddler on the Roof is a coming of age story, of Tevye’s daughters, of Tevye himself, of a people long acquainted with persecution. 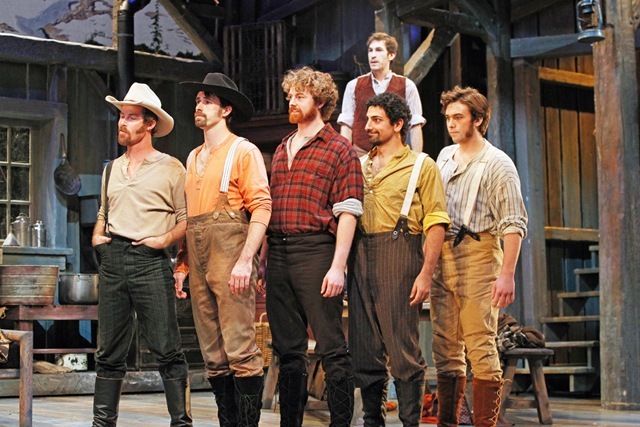 Joy, heartbreak, and the ability to survive populate the Anatevka currently located in the Oriental Theatre. 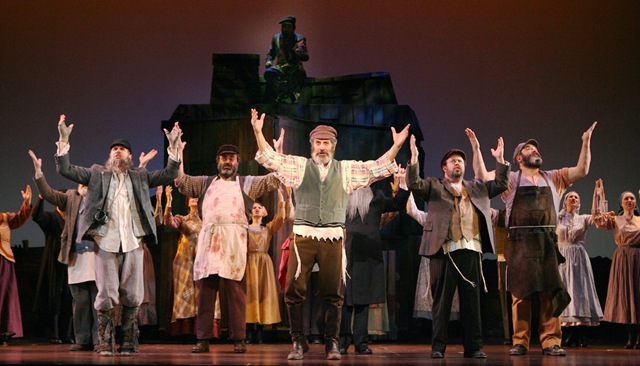 The big selling point for this North American tour of the classic musical is Chaim Topol, who has starred as Tevye around the world and in the 1971 film adaptation, for which he was nominated for an Academy Award. His tried-and-true performance matches the rest of the production; director/choreographer Sammy Dallas Bayes has recreated Jerome Robbins’ original choreography and direction from the 1964 Broadway debut for the tour. Instead of some sort of theatrical museum piece, though, Tevye’s tale still comes across as fresh and thought-provoking even though our Chicago is thousands of miles and centuries away from rural, tsarist Russia. 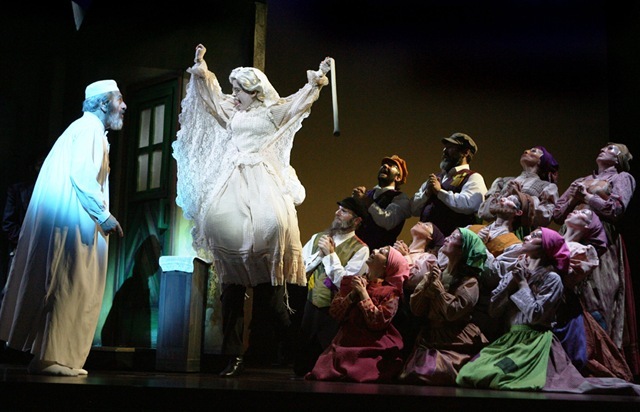 Tevye and his family were first conceived and published in Yiddish in the late 19th Century by Sholem Aleichem (pen name of Sholem Rabinovich). Composer Jerry Bock, lyricist Sheldon Harnick (a Northwestern University alum), and writer Joseph Stein found the modern resonance in Rabinovich’s tales of family, joy, and hardship, which were long out-of-print by the 1960’s. The title of the show, however, was inspired by painter Marc Chagall. The surrealist paintings of the Eastern European Jew also inspired the sets for the original 1964 production, as well as for the tour. The resulting musical, thematically grounded in the tension between traditional values and the shifting tides of time, is a collection of old and new. On top of being shaped by traditional Judaism and radical 20th Century views, this tour has the added element of Topol, one of Israel’s most famous actors. It took me a few scenes to get used to Topol’s portrayal of Tevye. He makes some unexpected choices, trading in ferocity for the weariness of a poor old man. His ability to underplay the role won me over by “If I Were a Rich Man.” His comic timing and deep emotional arc all spring from a profound knowledge of the character. His rich, baritone voice grabs hold of the audience during the musical numbers, whether they are moving or celebratory. His understanding of the script also allows him to ad lib a bit. If left to his own devices, I suspect these would add another 20-30 minutes to the run time, but Bayes has cut them down to an acceptable level. Although the musical centers around Tevye (as well as most of the advertising for this tour), it would quickly fall apart without strong supporting actors. Susan Cella’s Golde is powerful, living in a patriarchal society but still having control over her husband and family. 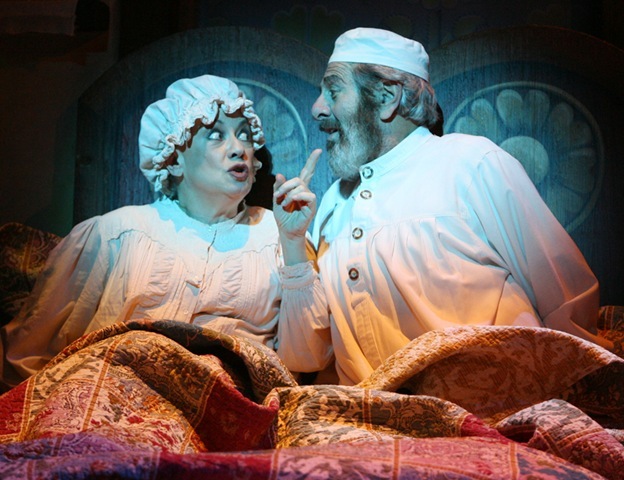 The scenes between her and Topol are hilarious, and the number where Tevye asks his wife if she loves him 25 years after meeting him on their wedding day (“Do You Love Me”), is beautiful. 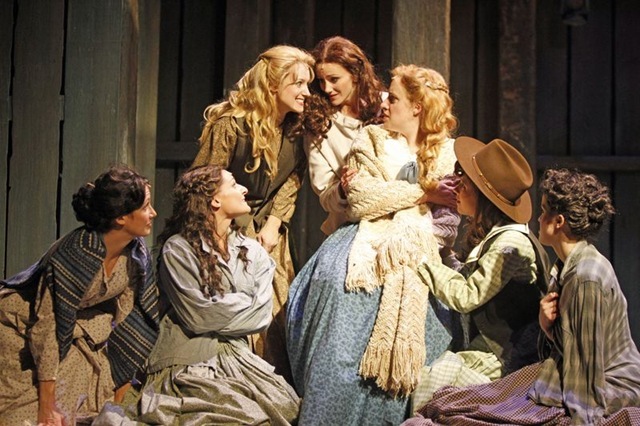 The daughters, played by Rena Strober (Tzeitel), Jamie Davis (Hodel), and Alison Walla (Chava), do a fine job settling being daddy’s little girl with falling in love without the traditional matchmaker. Erik Liberman’s Motel is plenty geeky, and Colby Foytik as the radical student Perchik is sometimes too wooden, but is also able to use it for comic effect. The townspeople do an excellent job recreating a feeling of small-town life, where tradition is based on local gossip as much as the Torah. 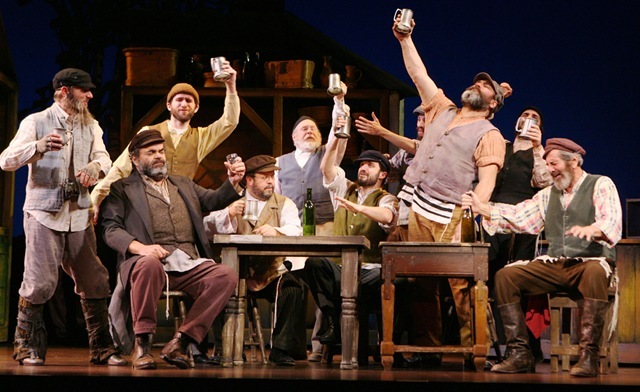 Even though the staging and choreography was recycled from the original production, the strong performances and timeless script make this Fiddler on the Roof as touching as anything Broadway has to offer right now. Balancing traditional values with reality can be as shaky as a fiddler on a roof, whether in 1894, 1964, or 2009. Box Office: 312-902-1400, or buy tickets online. Performed in honor of Stephen Sondheim’s 75th Birthday on July 8, 2005 at the Hollywood Bowl, Los Angeles, the concert – entitled Children Will Listen – benefited the ASCAP Foundation. Tell me it isn’t so! A "Phantom of the Opera" sequel?? Okay, I know that there’s millions of people out there that love “The Phantom of the Opera“, but I definitely am not one of them. I found/find it horrifically boring (sorry Andrew Lloyd Webber). And the movie was even worse. 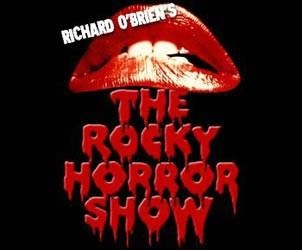 I believe my loathing of this show also has something to do with Sarah Brightman‘s grating high-notes. So I’m *petrified* to think that they are now planning a sequel. (okay, maybe not petrified, but – at the very least – aghast). It will be titled “Phantom: Love Never Dies”. I think a more apropos title might be “Phantom: Boring and Boringer”. 🙂 Well, at least it will no doubt enjoy a long run, assuring a lot of actors some lengthy employment. A new “Phantom of the Opera” is coming to Broadway, and beyond. Composer Andrew Lloyd Webber told the Times of London on Sunday that “the button is pushed” on a sequel to the world’s most successful musical. He plans to open “Phantom: Love Never Dies” at the end of 2009, with a historic simultaneous opening in three cities — on Broadway in New York, in London’s West End, and potentially in Shanghai. Such an opening would be groundbreaking. The follow-up to “Phantom,” which debuted in 1986 with Michael Crawford in the lead role, will take place a decade after the original, with the story set on Brooklyn’s Coney Island. “Take Me to the World” from Stephen Sondheim and James Goldman’s Evening Primose, produced for ABC’s Stage67. With Anthony Perkins and Charmian Carr.